That’s how Denver-based brand Zen Redhead describes its Angel Mist toner, and I couldn’t agree more. 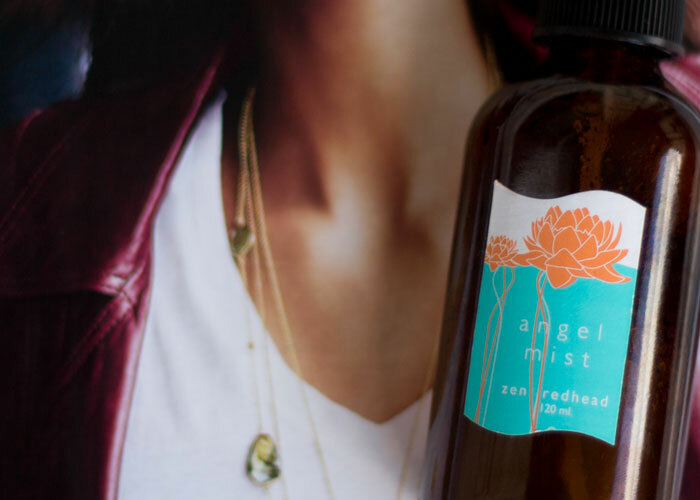 Besides being a delightful aromatherapeutic experience thanks to certified organic neroli, ylang ylang and lemon, Zen Redhead’s Angel Mist dispenses the most even, full burst of filtered toning water that kept my skin looking dewy and fresh with every press. Even though I’m now out of my toner, I’m definitely keeping the bottle for a little reuse! I went through my bottle of Zen Redhead Angel Mist quite quickly because of how uplifted and wonderful the scent was. The scent is extremely soft — no one note completely dominates the profile, and it is a comforting, familiar scent that I can’t quite describe. Lemon, neroli and ylang ylang sound like they could be very bright and cheery mixed together, but the scent is so subtle and familiar, like what you might smell in your backyard, where there’s a lemon tree, after the rain on a spring day. The simple ingredients list — filtered water with essential oils of neroli, ylang ylang and lemon — appeals to the mist-a-holic that I am. I used this mist as a regular refresher throughout the day and loved the fine layer of dew it imparted on my complexion. While this formulation seems easily DIY-able, it’s important to look at the creator herself. Founder Tamara Hutchins has a Master’s Degree in Traditional Chinese Medicine and is a certified massage therapist and aromatherapist. Her experience in the alternative health field spans 21 years, and she’s known for using essential oils to treat clients in Zen Redhead Studio, her spa that offers facial rejuvenation acupuncture and a clean beauty apothecary. With that said, the pricing on Zen Redhead’s Angel Mist is steep for what’s inside. Many of my favorite toners include amazing infusions and intriguing ingredients, which is what I’m after in my skincare. I would love to see a different base, such as hydrosols (flower waters) or aloe water, in place of the filtered water for a more luxurious treatment. What do you look for in a toning mist? What ingredient combinations appeal to you? How much do you pay for toners? Tell me in the comments section!